The greatest contribution of Alan Alexander Milne (1882-1956) to fantasy was the creation of Winnie-the-Pooh and his friends, who were largely based on his son Christopher Robin’s soft toys. 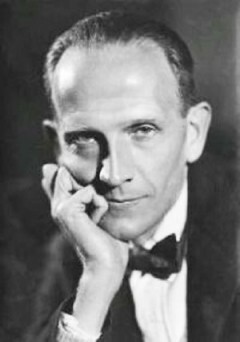 Milne was a humorist, novelist and playwright: ironically, the play for which he is best known today is his version for the stage of Kenneth Grahame’s fantasy The Wind in the Willows, which Milne called Toad of Toad Hall (1929). In 1893 Milne went to Westminster School. There were no baths in College; it was enough that it was built by Christopher Wren. One cannot have everything; probably there are no baths in St Pauls Cathedral. There was no hot water in College; but in every cubicle (or ‘house’ as it was called) there was a shallow tin bath, in which one could make cold splashing sounds every morning. These noises were about all that Juniors did towards keeping clean (100). He discovered the fun of writing light verse while at Westminster; he collaborated with his brother Kenneth, who had also won a scholarship to the school. When he got to Trinity College, Cambridge, to read mathematics, he continued writing, and had verse published in Granta. To his amazement, in his second year, he was asked to be editor of Granta, which his tutor allowed only after he promised to keep a work diary to show that he was studying at least seven hours a day. He did not record whether he kept up this work diary; the fact that he ended up with a third suggests that he didn’t. When his father got the news of Milne’s poor degree, he did not speak to Milne for a week. After coming down from Cambridge he set himself up in London as a freelance writer. In his first year he earned £20. He wrote occasional pieces, and continued to write light verse. He was asked by the Evening News to contribute a weekly article, for 25/-. He started publishing verse and humorous articles for Punch in 1904, and in 1906 began work for them as Assistant Editor, for £250 a year. His contributions to Punch were very popular, and his first book, The Day’s Play (1910) was a collection of his Punch pieces. In 1910 he was invited downstairs to the Table, as a full member of the Punch team, and was allowed to carve his initials into the famous table. In 1913, now that he had a steady income, he married Dorothy de Sélincourt (always known as Daphne). See here for his war-time service. It is easier in England to make a reputation than to lose one. I wrote four ‘Children’s books’, containing altogether, I suppose, 70,000 words—the number of words in the average length novel. Having said goodbye to all that in 70,000 words, knowing that as far as I was concerned the mode was outmoded, I gave up writing children’s books, I wanted to escape from them as I had once wanted to escape from Punch; as I have always wanted to escape. In vain. England expects the writer, like the cobbler, to stick to his last (242). The four books were When We Were Very Young (1924), Winnie-the-Pooh (1926), Now We Are Six (1927) and The House at Pooh Corner (1928), all of them delightfully illustrated by E.H. Shepard. Although they made Milne’s reputation, he felt that in a way they were a millstone around his neck for the rest of his life (he lived for another thirty years). All four books have, of course, been part of growing up for millions of children ever since. Dorothy Parker’s review famously said “Tonstant Weader Fwowed Up”; but Milne calmly pointed out that the books were not written for Parker but for children. And there is more depth in them that most five-year-olds realize, and not just the philosophy of Pooh or Eeyore. As a child myself, captivated by the wonderful rhythms of “James James Morrison Morrison Wetherby George DuPree”, I think I totally missed the fact that this poem, entitled “Disobedience”, is about a child traumatized by the thought that he would be blamed for the fact that his mother had run away from the family. If the books were a millstone around the neck of their author, they were still more so for his son Christopher Robin Milne, who wrote about the burden in The Enchanted Places (1973). On 24 July 1948, Christopher Milne married his cousin Lesley de Sélincourt, the daughter of his mother’s brother Aubrey de Sélincourt, to the disapproval of his mother, who had not been in contact with her brother for years. See Ann Thwaite in Oxford Dictionary of National Biography 38 (2004) (where A.A. Milne’s biography is immediately followed by that of his son) and Ann Thwaite, A.A. Milne: His Life (1990) (reprinted Stroud: Tempus, 2006).